Shut down October, because this baby just beat all of us with his costume game. 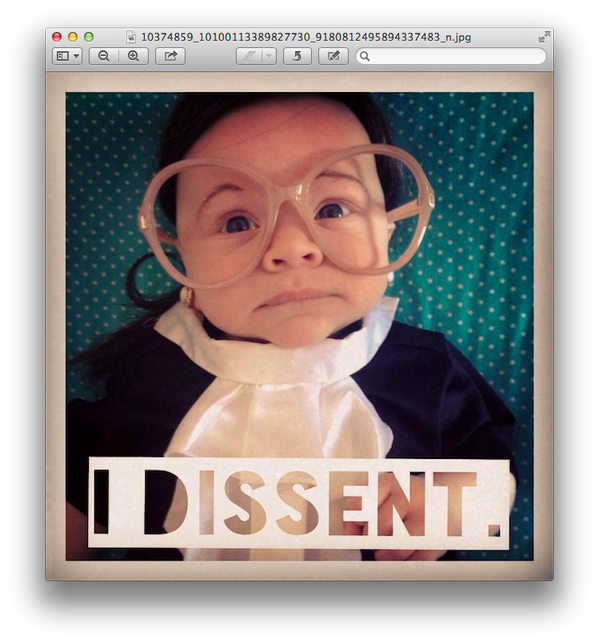 Bravo, Ruth Baby Ginsburg. Bravo. UPDATE: R.B.G. 's real name is Sycamore, and his Ohio-based mom Kate Livingston is the proudest parent in the world.